Top of the best free 2D CAD software! We recently made a top of the best free 3D CAD software (or computer aided design software) for your 3D printing projects. But what about laser cutting? We decided to make a selection of the best free 2D CAD software to help you with your laser cutting projects. You want to use laser cutting but you don’t know which software you should use? We are going to help you with this! What are the best free CAD programs for laser cutting? Which one will be the most adapted to your project? Find it out right now in this blog post! CAD applications can be numerous, but today we will focus on free CAD software to develop a laser cutting project. You may know that Sculpteo is an online 3D printing service, but do you know that Sculpteo is also an online laser cutting service? You can upload your file on our website and get your parts in a few days. What is laser cutting? Laser Cutting is a manufacturing method, transforming 2D files into physical objects. This technology can be performed on different materials such as acrylic, wood or even cardboard. Laser Cutting involves cutting the material with a highly accurate laser that focuses on a small area of the material. It can cut it with a thickness up to 10mm, but it will depend on the laser cutting materials you choose for your project. But how to start a laser cutting project? First, you will have to design a 2D file, and for that, you will need to use 2D CAD software. We know that these kinds of programs can be really expensive. That is why we chose to make a top of the best free 2D CAD software for you! LibreCAD is a perfect free CAD software if you are a beginner looking for a program to start creating your 2D project. 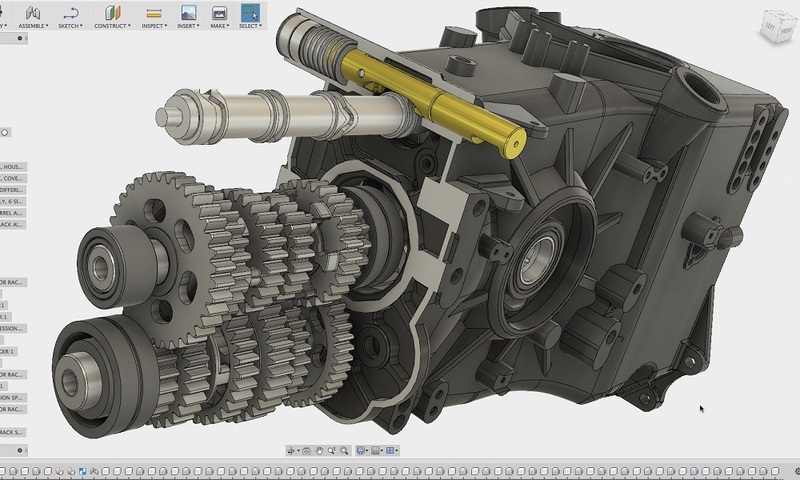 It is an open-source CAD software available with Mac Windows and Linux. It is an easy program to get started with 2D design as it doesn’t require any subscriptions or license costs. You could also join the LibreCAD community, and give a hand to develop this program. This 2D software can be used to create elaborated drawings, 2D draftings, or any 2D projects for a laser cutting project. LibreCAD can totally be used for all 2D architectural engineering drawings, to design mechanical parts or simulate projects. QCAD is also an amazing CAD software if you are just beginning with graphic design! If you need to create 2D drawings, QCAD might be the perfect choice for you! 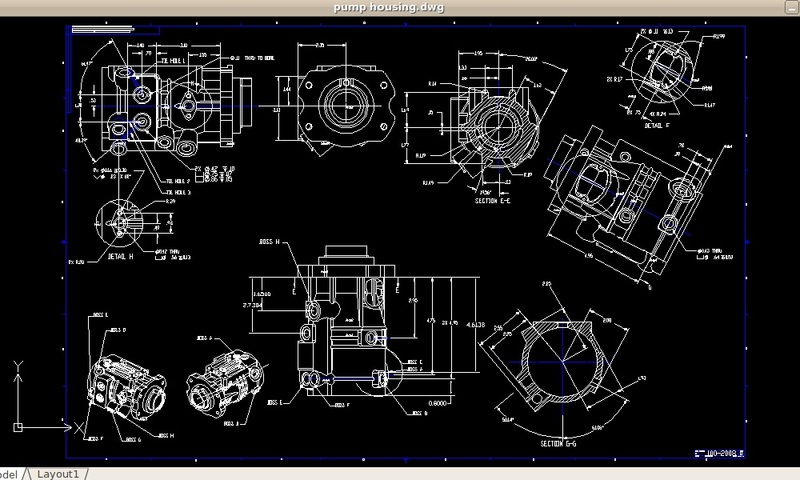 This 2D drawing program is much easier to use than AutoCAD. It will be great for beginners needing to work on 2D CAD projects. It has more than 60 construction and modification tools to fit your needs! Do you need a program to work on a mechanical project? Or to develop blueprints for architecture projects? QCAD could totally be the perfect choice for you, its software tools are easy-to-use, which is perfect for a first experience with design software. Draftsight is a program for advanced CAD users. It is available for Windows Mac and Linux. This free CAD program is developed by Dassault Systèmes, which also develops SolidWords. 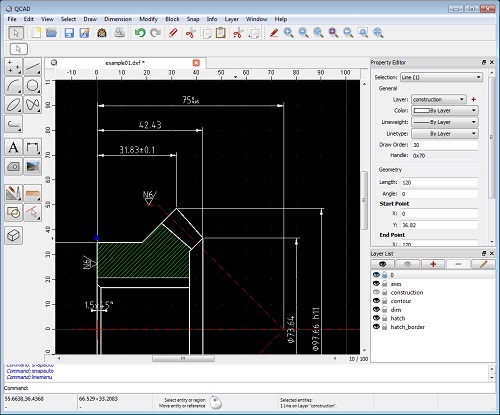 Draftsight is specifically made for engineers, architects, and designers. This software is available in a free version, but to access other advanced features, you will have to purchase the business software version. But the free version of this program is already quite interesting, it allows you to create technical 2D drawings, compare designs, etc. You are an advanced user and you are looking for a free alternative to AutoCAD? Meet NanoCAD. This is a free drafting software providing high performance and advanced CAD tools. NanoCAD is a professional program, offering a powerful table editor with a lot of new possibilities. It has a classic interface and a native .dwg format support. Be careful, this 2D program is only available for windows. NanoCAD is free, but if you want to go further and access new advanced tools to design your project, you can download NanoCAD pro or NanoCAD plus. This free version is already a good and complete program. Watch the following video for a complete presentation of this amazing professional CAD software. FreeCAD is not only a 3D modeling software. Indeed, it is a 3D and 2D program. it can be used to create technical drawings and start to give life to your laser cutting projects. To use this program, you will need to have a first experience with CAD, in order to make the most of all of its drawing tools. It can import and export files in multiple formats. FreeCAD also includes a drawing sheets module in order to create 2D schematics of the 3D models you made. We hope that this selection of design software will help you to make your choice and start your laser cutting projects. At Sculpteo, we can’t wait to see all of your CAD drawings and laser cutting projects! To get your parts, you will just have to upload your 2D files on our online laser cutting service, and you will get your part in a few days. Interested in more tips for laser cutting? Don’t forget to subscribe to our weekly newsletter right here!